A book titled “My life” was launched in the capital yesterday. 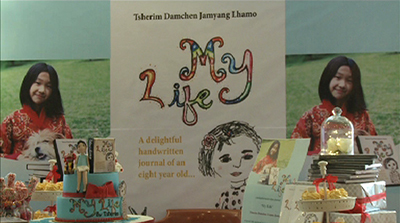 Authored by 10-year-old Tsherim Damchen Jamyang Lhamo, the book is a journal of herself. Thoughtful and detailed aspects of her daily life are recorded in the book. The book also presents a child’s observation of the country’s unique culture and tradition. Dechan Yuidem Yangzom, the daughter of Her Royal Highness Princess Dechen Yangzom Wangchuck, launched the book. Tsherim Damchen Jamyang Lhamo is the youngest author in the country.